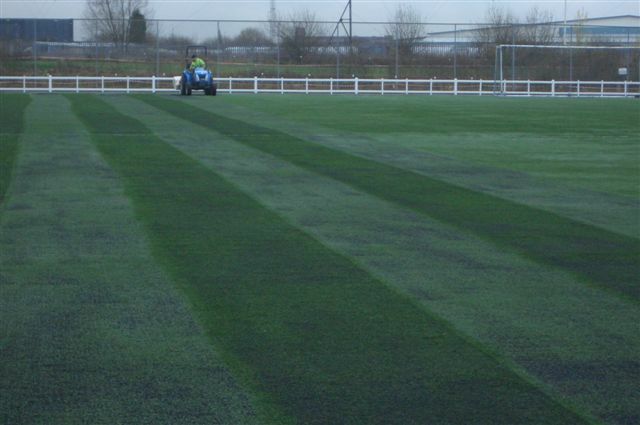 Bancroft Amenities are Manchester leading contractor for the maintenance and renovation of artificial turf. 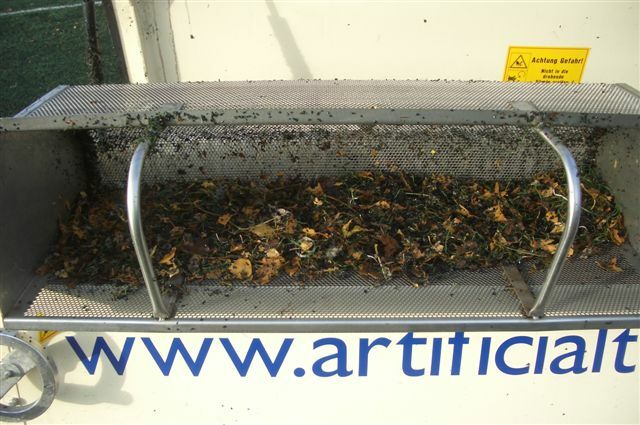 Whether it be from routine maintenance such as drag matting or power brushing through to full renovation of tired or ailing with our deep cleaning hydrofast cleaning system. 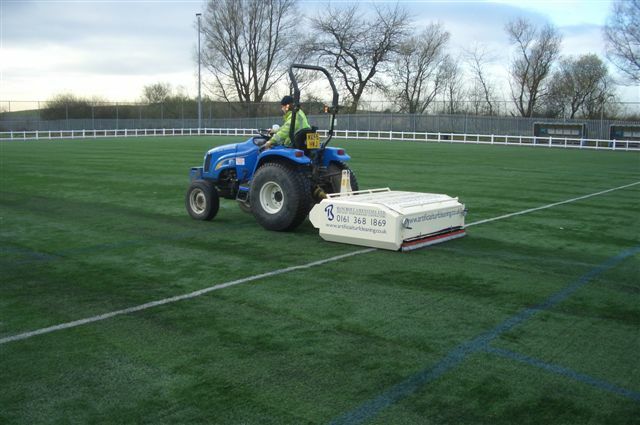 Whether the surface be a sand filled 2G, a rubber crumb 3G or a engineered hard surface and whatever the sport Bancroft’s can offer a service. 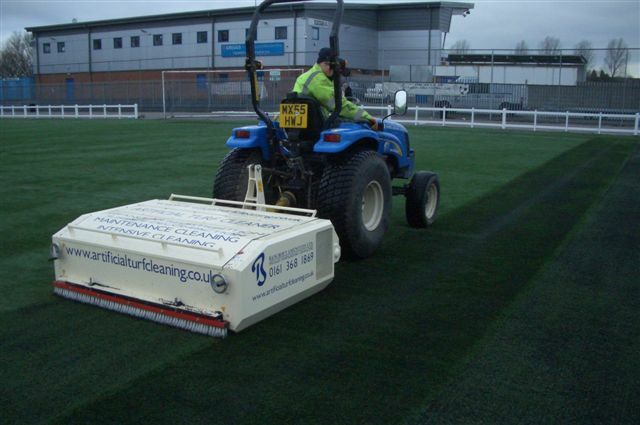 In an ideal world an artificial sports surface should be maintained from day 1, in practice we realize this rarely happens, usually it is only after a few years as problems develop i.e standing water, silting of the surface, seam repairs, vandalism damage etc. Don’t worry it’s not too late, obviously the earlier you start maintaining the longer the surface will last but most surfaces can be restored as long as the initial construction was good. Following a site visit, Bancroft’s can design a corrective maintenance programme to suit the surface, its situation and use, usually even the most steamily, tired and run down surfaces can be restored.